The IATI standard is meant to make it easier to exchange and compare information about activities and funding flows in development aid worldwide. But it can be useful within a (network of) organisations as well, even if you don’t feel ready to share that data with the rest of the world (yet). Large organisations are starting to see the benefits: adapt your internal project management system so that it contains the necessary information in the right format, then export it to IATI data from there. You then have an internal, vendor-independent format for your data, and have a choice of tools to put that data to use. 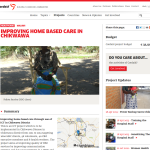 Earlier this year, Cordaid released a new website with information on many projects, allowing their supporters, donors and partners to see in far more detail what they are working on, what they hope to achieve, and how projects are progressing. 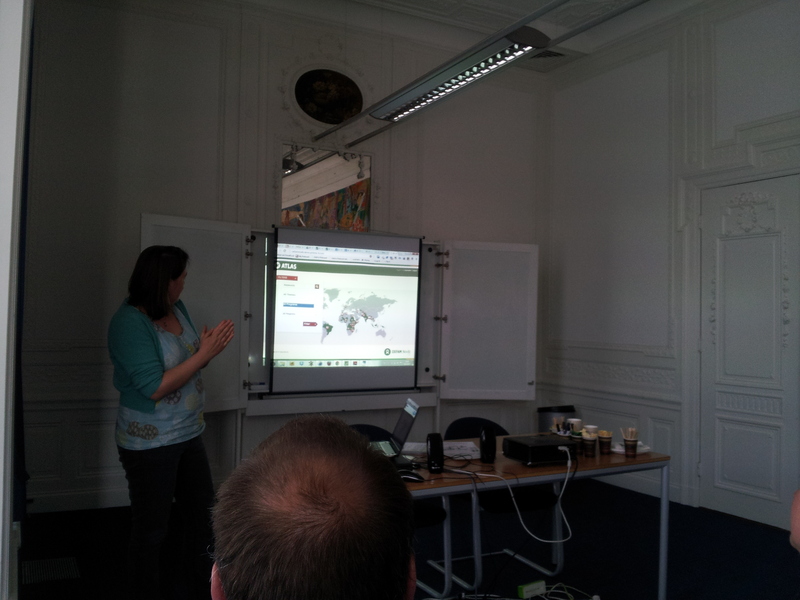 And last week, Oxfam Novib in the Netherlands hosted an “Open for Change open tea” and offered a sneak peek at their internal project browser. It should soon give their staff in offices around the world a better insight into what their organisation is doing in each country. 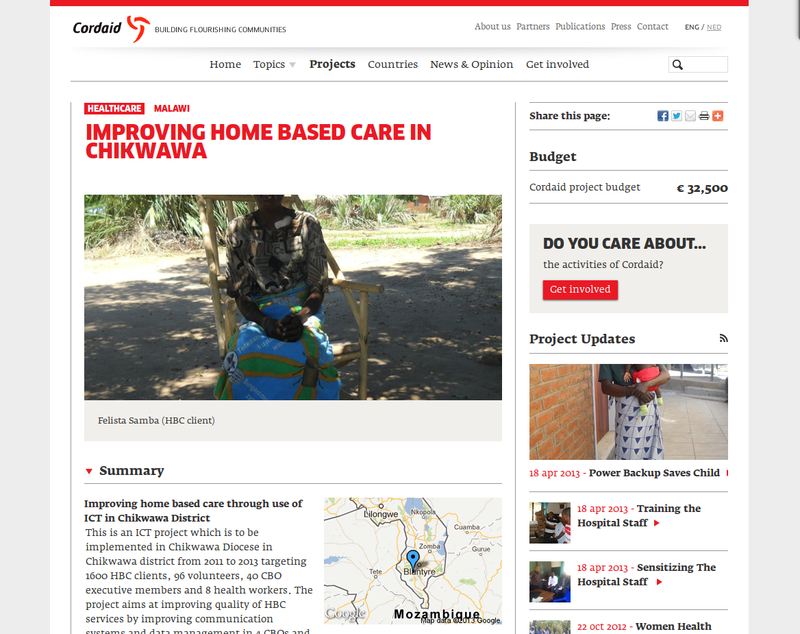 Since it is fed with IATI data, it’s easy to also add the IATI data published by Oxfam GB. 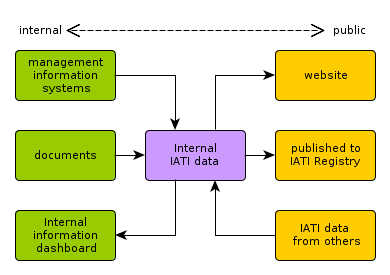 Thus, IATI becomes a format to combine all information of all Oxfam organisations across the whole network. And put it to multiple uses. Competing with single-use internal reporting standards. In both cases, once a few technical hurdles are overcome, the real challenge arises: organisational culture. Field staff realise that any information they enter into the system, becomes available to lots of people, sometimes almost real-time. This epiphany of what “open” is can lead to anxiety, often in the management of organisations. “Going open” also leads to a greater sense of ownership and responsibility with the people entering the data. Instead of a black box with a communications department and sign-off procedures that mysteriously “translate” your story into something different, you get a channel to communicate directly, instantly. It’s actually what you can show your colleagues and friends: share what you’re doing. It’s what many staff members already do with other parts of their lives, on social media like Twitter and Facebook. 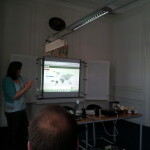 Again, it was what many staff members already were doing from home: exchanging messages and exploring web forums. Anyone who still thinks giving an employee an email addresses is a bad idea? Can you actually imagine that was a real management discussion, 15 years ago? The question is not whether “open” is going to happen, the question is how your staff prepares for it, makes use of it, and is aware of its opportunities as well as its risks. Benefit from the experiences they have with “open”, to shape how to get from sharing pictures of kids, cats and hobbies to sharing your organisation’s projects, activities and results. Make your project data available internally, show how it works with a few projects, let staff improve the data, and then publish the raw data. Posted in Aid Transparency, International development, Open data, Open for Change and tagged International Aid Transparency Initiative, Oxfam, social media.